The classic 1970 Dodge Challenger 340 T/A Six Pack under the hood has the naturally aspirated Chrysler’s 340 cubic-inch, 5.6 liter small-block LA V8 engine. 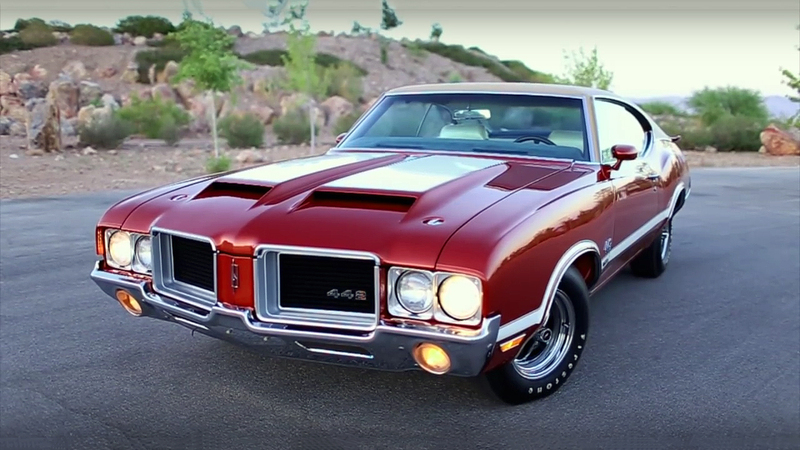 With three two-barrel carburetors this engine can produce 290 horsepower and 350 lb.-ft. of torque. Beside the engine there is 727 TorqueFlite 3-speed automatic or 4-speed manual transmission. The member of the new school is the 2008 Dodge Challenger SRT8. 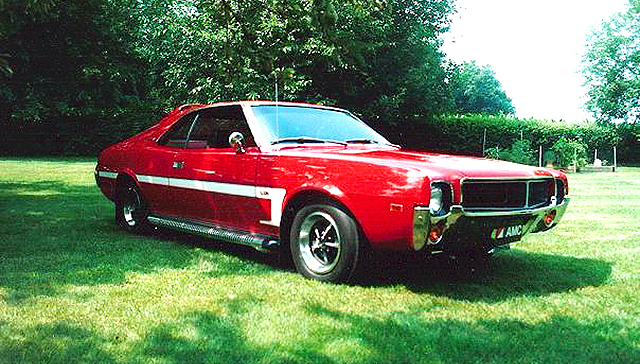 Under the hood has the Chrysler’s 370 cubic-inch, 6.1 liter small-block Hemi V8 engine, rated at 425 horsepower and 420 lb.-ft. of torque. 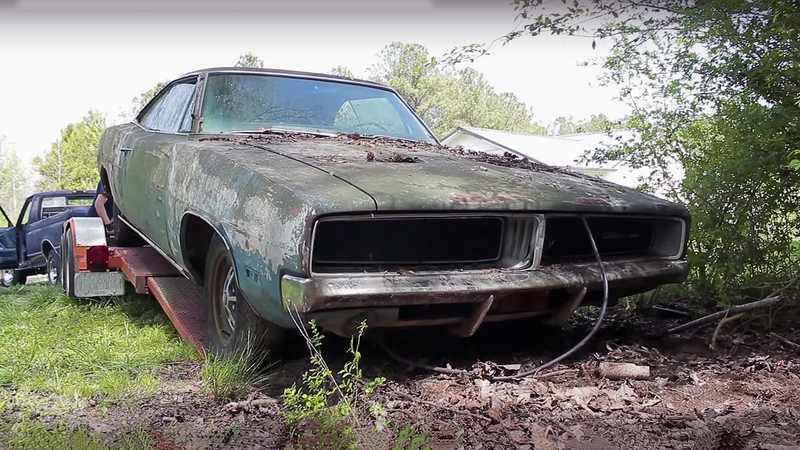 These Challengers came with 5-speed manual or 6-speed automatic transmission. 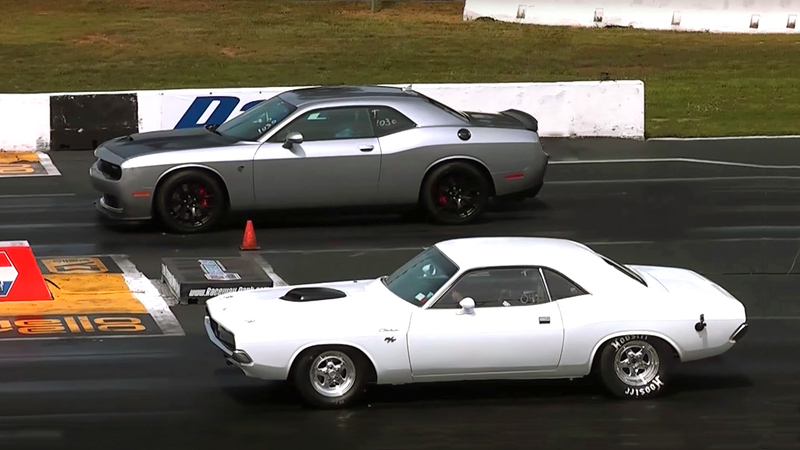 This SRT8 is more powerful and faster than the 340 T/A, but let’s see the actual race. First, it appears that the new Challenger has the stock tires. The old challenger has wide profile giving more traction. 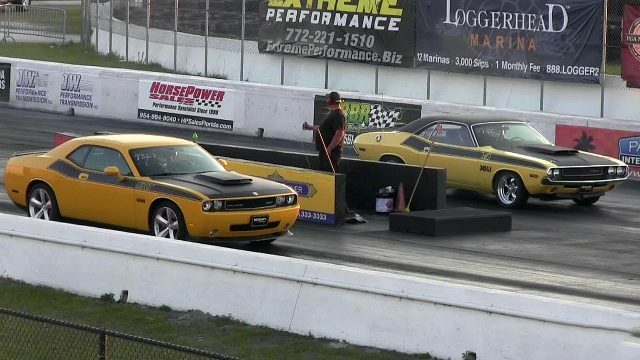 The old Challenger actually races when the new Challenger seems to just run the track. I have a 2010 Detonator Yellow SRT with Continental 275/40/20 and I can do a bit better.